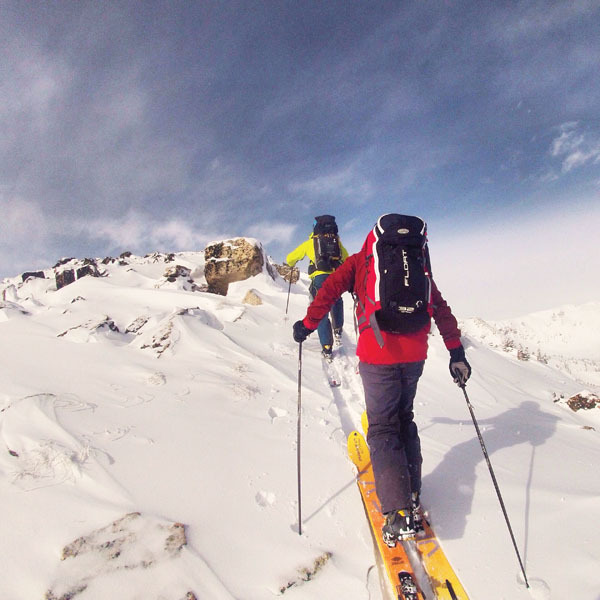 As a backcountry skier who has more ski days than partners, I used to tempt fate by skinning uphill on the outskirts of Eldora Mountain Resort, then skiing down the glades or groomed slopes inside their boundary ropes. Lift tickets are for those who use the lifts, I assured myself. But ski patrol tended to disagree—vehemently. On one occasion they even attempted to chase me down to my car in order to call the police and cite me for trespassing. And if they’d been a bit faster skiers I may have landed in jail—for skiing uphill on forest service land. As it turns out, Eldora owns the parking lot, but we collectively own the forest service land they operate on. Driven by equipment innovations and an ever growing interest in fitness, backcountry is one of the only growth segments the snowsports industry has seen in the past few years. It seems like everyone—from environmentally-conscious skiers, to split-boarders, to cross-training endurance junkies and recreational fitness-skinners—wants to climb up the mountains they then ski and snowboard down, whether for fun or exercise or both. 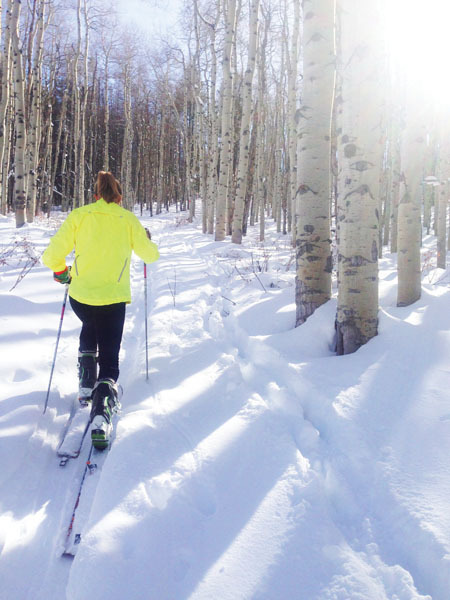 This makes the local resorts the obvious option for training and fitness efforts when the backcountry avalanche conditions are questionable, or when you can’t find a ski partner. You might expect that ski resorts would be scrambling to accommodate these new skiers. After all, growing the community inevitably leads to increased sales in one form or another, whether it’s in food and beverage, season passes, or day tickets. But so far, adoption and inclusion has been a somewhat slow and painful process, which has resulted in a patchwork of regulations across the country. Some areas allow skinning only before or after lift operating hours. Others have vague policies, where it’s generally allowed, but depends mostly on who you run into on your way up. Then there is the scorched earth, cease-and-desist-or-you’ll-be-carted-off-in-a-paddy-wagon attitude. In 2014, Crested Butte began to capitalize on the energy and excitement of the trend and they now have the most progressive uphill program. “Crested Butte is the epicenter of uphill resort travel,” says Francis. The resort sells single-day uphill tickets for $10, an uphill season pass for $100, and even groom a free trail on Snodgrass Mountain, adjacent to CBMR, for those who don’t want to pay for the workout. Five resorts where you can earn your turns. Matt Hart’s work has appeared in National Geographic, Outside and Men’s Journal and he’s a former professional endurance coach. To atone for his sins, he bought a seaon pass at Eldora the past two seasons.